After having been homeschooled through early elementary, my mom put me in public school in the 5th grade. The school, not having any academic history for me, randomly placed me in the highest level math class (and the lowest level English class). The first day of class we were given timed tests: 5 minutes to complete a page of 100 addition problems. Then subtraction. Then multiplication. By then I was getting in over my head. I understood that multiplication was essentially a form of addition, so I started frantically making hash marks to count up to the answers. I didn't finish my 100 problems, but I struggled through the 5 minutes and did the best I could. Next we were given a page of 100 division problems. By this time I was completely overwhelmed and burst into tears. The teacher gently ushered me next door to the lowest level math class where I spent the rest of the year, cheerfully using my multiplication cheat sheet that was taped to the inside cover of my math book and earning tickets for Mrs. Dasenbrock's Jello Jigglers. 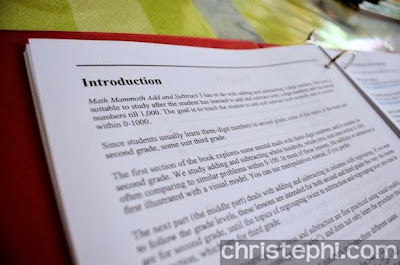 When I was given the opportunity to review some products from Math Mammoth, I was glad, but not overly excited. Miss M was about to move from two digit addition and subtraction into multiplication and I figured I could use an extra resource in my arsenal. I picked out four worktexts from the Math Mammoth Blue Series by Maria Miller: Add & Subtract 3, Multiplication 1, Clock, and U.S. Money. Each book in the Blue Series covers a mathematical topic that is not divided up into grade levels. For example, Clock covers all the time telling information typically presented in 1st-3rd grades in one 78-page book. A worktext is a book that includes textbook instruction alongside problems to be solved so you do not need a separate teacher's manual. It is perfect for review, remedial work, or just an in-depth study of a given area. When I started looking through Multiplication 1 I got pretty excited! Here was a book that not only presented the concept of multiplication from the ground up, but explained that concept from a variety of perspectives to give the student a truly comprehensive grasp of the idea. Multiplication as a number of equal groups. Multiplication on a number line. If one perspective didn't click with a student, there were still several other ways of explaining the idea to her! Each lesson also included a variety of problems to solve so Miss M didn't get bored with one problem type repeated over and over across the page. Then, moving beyond the concept of what multiplication is, Maria Miller has created a systematic approach to memorizing the times tables. This is hugely important! 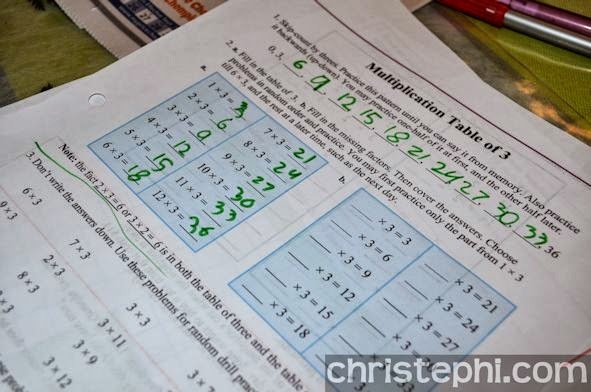 Until basic math facts are memorized, a student is handicapped and hard-pressed to move on in the world of mathematics. 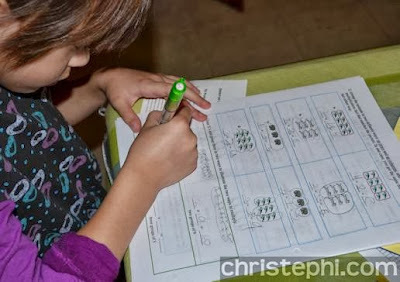 Miss M is in the process of memorizing the multiplication facts through "structured drilling," a process Maria Miller describes in this YouTube video. Multiplication 1 also introduces the Order of Operations in a way that is easy to understand and makes sense. We have nearly completed Multiplication 1 and Miss M has a much stronger grasp of what multiplication means and how to solve a word problem that uses a combination of multiplication and addition or subtraction. Once we finish this book, we will return to our regularly scheduled math curriculum with confidence that multiplication is something that can be easily conquered! 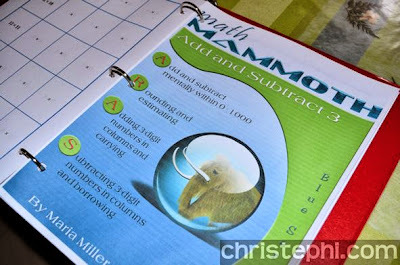 You can purchase Math Mammoth books in electronic form as PDF downloads or in a printed book format. Though I generally prefer to have a textbook in a bound format, I actually enjoyed being able to print off the pages I needed for Miss M and put them in her workbox for that day. 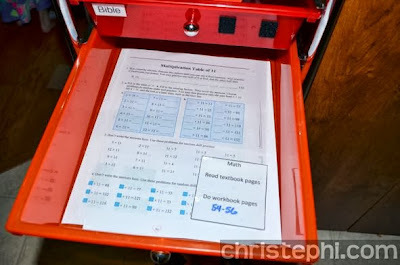 We then hole-punched them and filed them away in her 2nd grade notebook under the "math" tab. 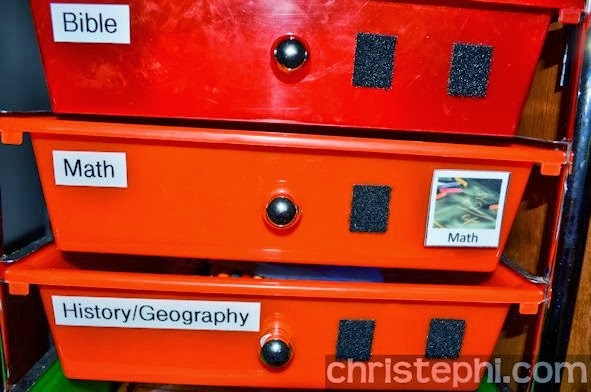 She likes seeing her work collected into one place where she can thumb through and recall all the things she's learned. If you are still confused about the different series that Math Mammoth offers, you can sign up for a 7-day email tutorial. Each day for a week you'll get an email that describes the differences plus 300 free worksheets! 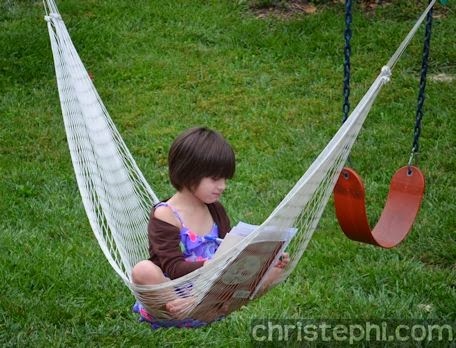 Doing Math Mammoth Multiplication 1 outside in the hammock! I'm determined my kids won't slide through their math lessons without learning their math facts the way I did in Mrs. Dasenbrock's 5th grade math class. Excellent resources like Math Mammoth are there to be sure I can make that happen! Math can be both fun and rigorous!